The original discoverers of the natural deposits of Gilsonite® are unknown, but it is clear that the local Ute Tribe was aware of these striking geologic features before their discovery by the first pioneers of Utah. During the 1860s, samples of this unique natural bitumen were sent to leading scientists for analysis. William Phipps Blake classified it as an asphaltite and gave it its official name of “Uintaite” after its source location in the Uinta Basin. Our trademarked name, Gilsonite, comes from the colorful character Samuel H. Gilson, the flamboyant sheriff, rancher, horse trader and supplier of horses for the pony express who was instrumental in developing this resource. Gilson’s name became linked through his persistent search for its uses and markets, and he is credited with the first real commercialization of the product. Gilson formed a partnership with Bert Seabolt in 1886 that became the Gilsonite Manufacturing Company. In 1887, the two joined with Charles O. Baxter, a mining engineer, to rename the company as the St. Louis Gilsonite Company. In 1889, Anheuser-Busch bought out Gilson’s share and changed the name to the Gilson Asphaltum Company. 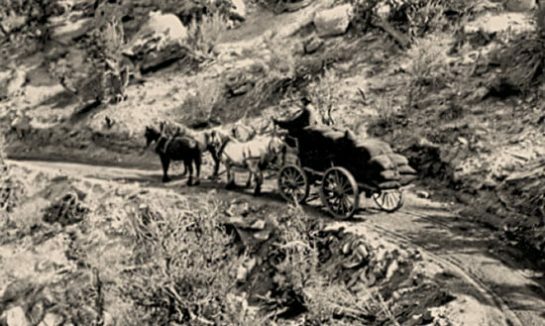 In those early days, Gilsonite was mined by pickaxe and hauled by oxcart to Rifle, Colorado. The earliest uses of Gilsonite included asphalt road paving, paints and waterproofing for timbers. Anheuser-Busch used Gilsonite as a safe and effective lining for the inside of its beer barrels. The year 1904 marked the completion of the Uintah Railway linking the rich Black Dragon vein to Mack, Colorado by a one-of-a-kind narrow gauge rail that wound over 24 miles of mountains to reach a transfer point only 6 miles away as the crow flies. The rail line was extended to the Rainbow Vein in 1911, and together with the Dragon Vein this area was the major production center for Gilsonite from 1904 to 1935. The Rainbow Vein, one of the most productive in this period, was over 3 miles in length, 10 feet wide at the surface and mined to a depth of over 400 feet. 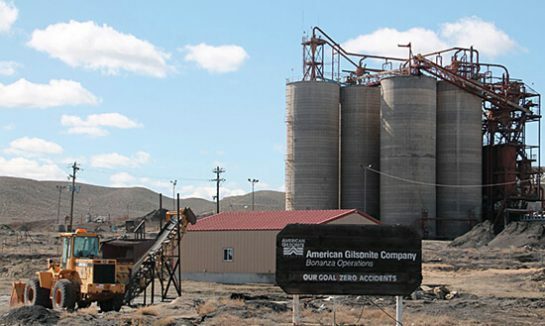 In 1935, the Gilson Asphaltum Company moved its principal operations to Bonanza, Utah and began mining from the Bonanza, Cowboy and other large veins near the plant. 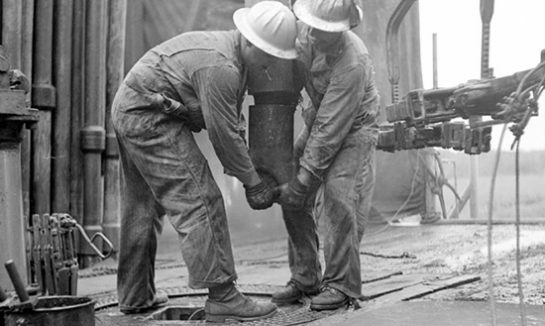 The Bonanza Vein was 30 feet wide at it widest point, and it and the other veins near the town of Bonanza are still being actively mined nearly 80 years later. 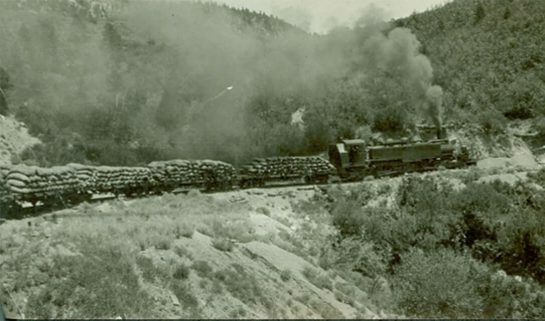 After the move to Bonanza, almost all of the products were trucked to Craig, Colorado and the Uintah Railway was abandoned. 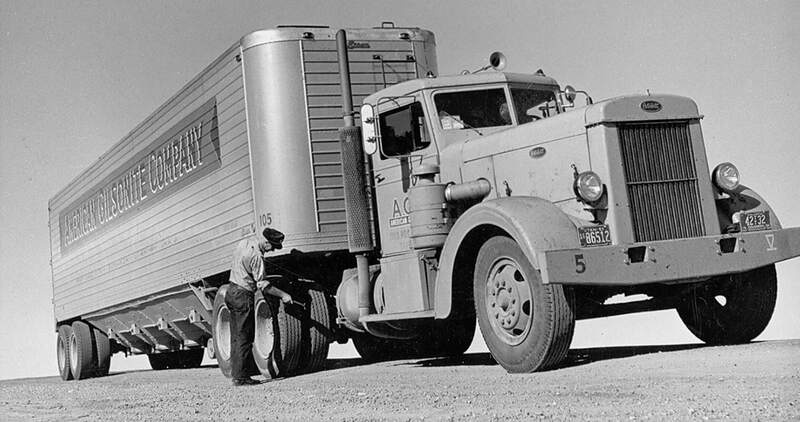 In 1938, the company changed its name to the Barber Asphalt Company, later part of Barber Oil Company. In this period, Gilsonite continued to be used primarily as an asphalt-paving modifier and in paints; for example, Gilsonite was in the paint formula for the legendary Ford Model T. Its uses also expanded to include a diverse range of products including black telephone receivers and switchboards, printing inks, rubber substitutes, car battery casings, waterproof packaging, roofing paper, floor coverings, electric insulation and phonograph records. In 1948, Barber Oil Company formed a joint venture with Standard Oil of California, now Chevron. The new company was named American Gilsonite Company. By 1957, the town of Bonanza had grown to more than 200 people and the company increased its research and development efforts. Seeking to increase capacity, American Gilsonite Company introduced hydraulic mining with pressure hoses and mechanical cutters using water pressure. 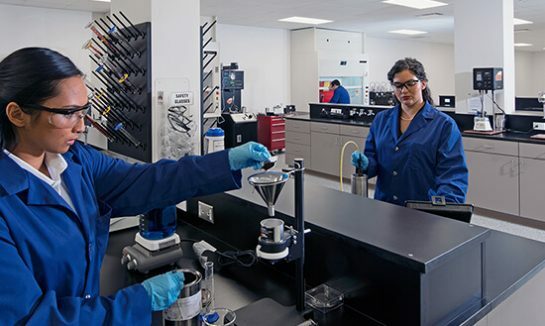 During this period, we achieved record mining volumes, and through intensive research, expanded our product line to include sealers and adhesives, oil drilling fluid and cementing additives, and construction materials such as fiberboards. Chevron sold the company in 1991 and between 1991 and 2007, the Company consolidated its efforts as a smaller, privately owned entity. During this period, we expanded our international sales and established our preeminence as a high-quality performance additive in drilling fluids and cementing, printing inks, asphaltic paints, foundry castings such as iron engine blocks and brake calipers, construction materials, and asphalt applications such as road paving and emulsions for surface treatments. Between 2008 and 2012, demand for Gilsonite increased so rapidly that it outpaced our mine development efforts in the prior years. To address the surge in demand, we doubled the size of our workforce, greatly expanded the number of mines under development and increased our capital spending by a factor of ten. We invested in research for new mining and innovations in shaft-sinking. 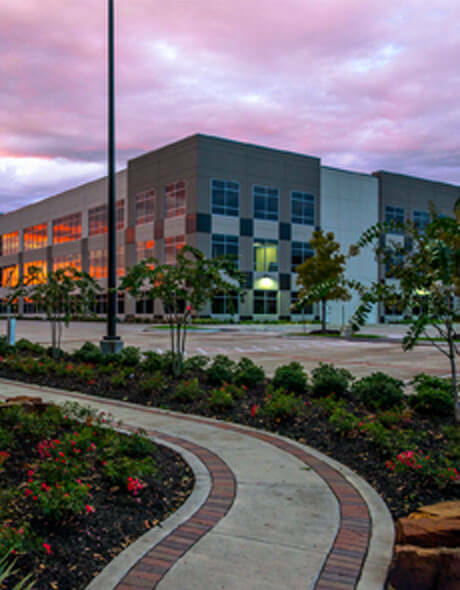 Recognizing the need to be closer to our largest end market, we added a new office in Houston, Texas, and also expanded our sales team with drilling fluid and other technical experts. These combined actions allowed us to significantly expand the production and sales of Gilsonite throughout the world. To ensure our ability to reliably meet demand cycles looking forward, we launched a strategic plan to greatly increase our mining capacity by developing more mines and by training new miners. We will continue expanding our sales force to ensure customer service and add to our knowledge about our end markets. We have also increased our technical services and research and development efforts so that we can continue to partner with our customers. 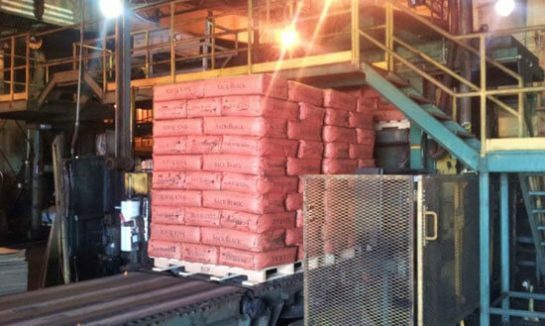 American Gilsonite is here for the long term, and we are continually dedicated to improving all aspects of our business.